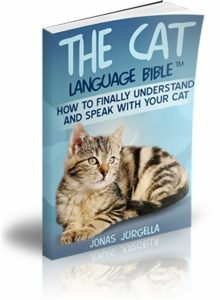 How Can I Stop My Cat Running Away From Me? Soon, he will just come for you but be prepared because he will want a treat! 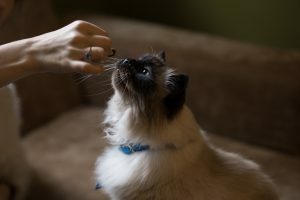 When your Cat starts to gradually stay with you, reward your Cat. Again, with treats or just praise him or pet him. Go stand next to your Cat and don’t make any sudden movements. Do this often because your Cat will get the idea that you’re just going to stand there or sit there when you are close to them. You’ll get the idea that your Cat is used to you and trusts you because the hesitation from your Cat is not there anymore. Once you’ve gained this trust with your Cat, you can now start to walk to him but slowly when they are just sitting there doing nothing. How do you show them love? Work through them and show your Cat how much you love them! You’ll learn how to hold a actual conversation with them! 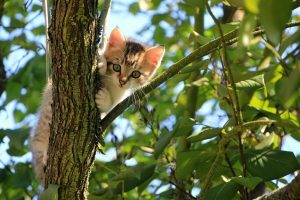 You’re probably thinking – How can you have a conversation with your Cat? These tips do work. I’m currently fostering a cat and have already tried some of these methods and it’s working! Treats and positive affirmations work!